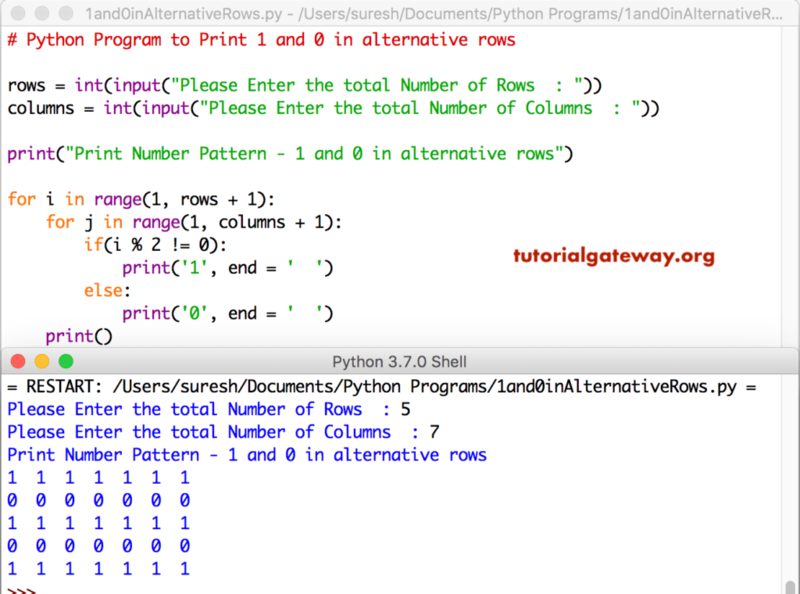 In this article, we will show you, How to write a Python Program to Print 1 and 0 in alternative Rows using For Loop and While Loop with example. This Python program allows user to enter the total number of rows and columns. Next, we used Nested For Loop to print 1’s and 0’s in alternative rows until it reaches to the user specified rows, and columns. In this program, we are finding even or odd rows within the print statement. By this, you can avoid the If statement used inside a Nested For loop.